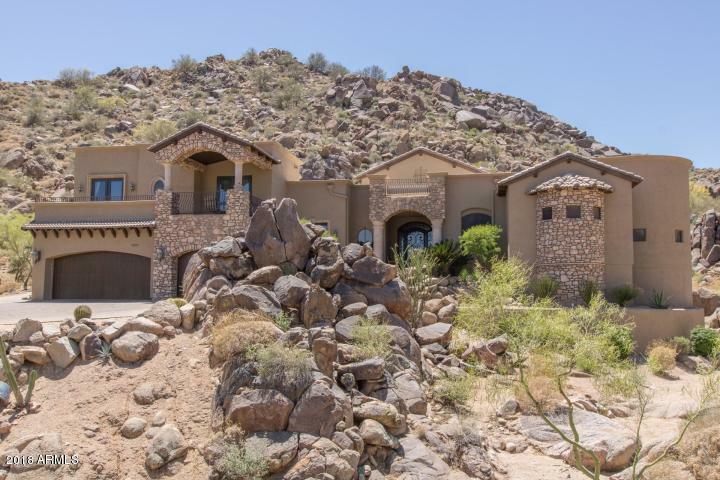 Private serenity welcomes you to this beautiful oasis, spread over an acre, nestled within a quiet cul-de-sac with its own picturesque mountain backdrop. Gorgeous curb appeal, long pavered driveway, grand entry, family-friendly floor plan, great for entertaining! No expense spared-impressive details/fine finishes. Wood-beamed cathedral ceilings, custom stone flooring/granite counters throughout, solid Alder cabinetry/arched wooden doors. Professional chef's kitchen-TWO presentation islands, all Viking appliances-DOUBLE refrigerator/freezer, 6-burner gas stove/griddle/double oven, dishwasher, compactor, wine cooler & ice maker. This tranquil backyard boasts a sparkling salt-water pool with waterfall, water slide, grotto, misters, spa, outdoor shower, gas brick fireplace, gas stonefireplace, spectacular bath/spa with huge walk-through steam/shower, jacuzzi/soaker tub, walk-in linen closet & extra-large walk-in closet with built-ins. 1st floor guest bedroom/loft with en suite bath & walk-in closet, deluxe 1st floor office/en suite bath with relaxing patio. Separate upstairs wing with 2 spacious bedrooms/walk-in closets/Jack & Jill bath, large connecting covered balcony & bonus entertainment room. Freshly painted walls & ceilings, all new carpets, new water heater & upgraded home/fire security system. Plus, a newly painted 5-car garage/closet/cabinets for all the autos, toys & additional storage. 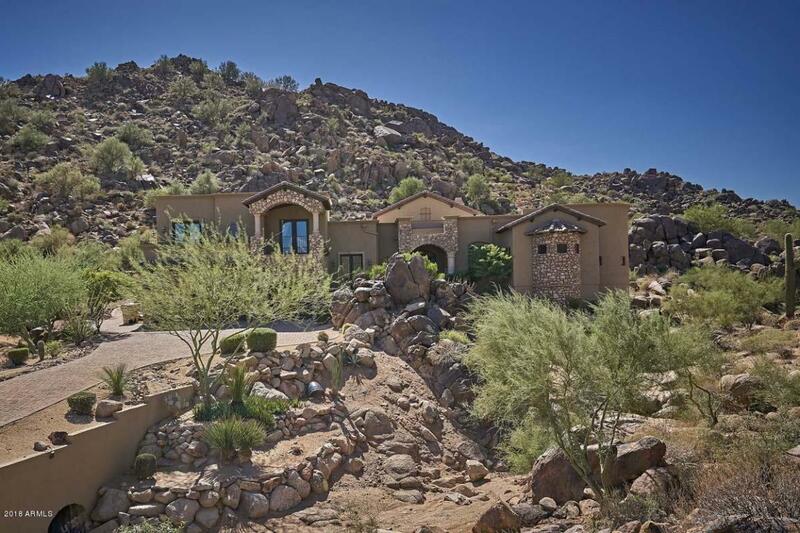 This is your "slice of paradise" just beyond the Scottsdale border. Listing courtesy of Lawyers Properties.